I wrote this post back in September when I first started this blog. For some reason I never posted it. Maybe because it’s hard to share your most intimate dreams and feelings with the world. Anyway, here it is…. 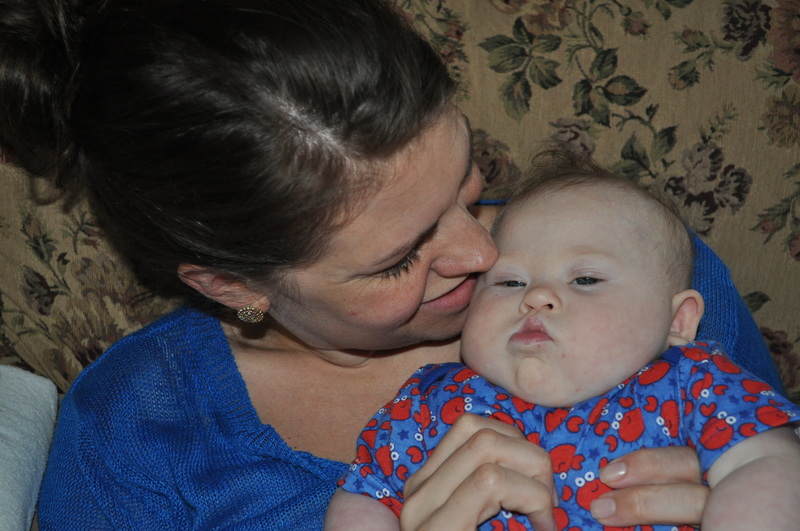 When Annie was born, as I am sure all first-time mothers are, I was completely overwhelmed. But for me, this wasn’t a feeling I was expecting. Maybe I was naive, maybe not. I was never worried about becoming a mother because it was the one thing I knew I was born to do. Since I can remember, my biggest dream was to become a mother. This may be because I grew up with one of the world’s best moms. I am sure you’d also have to factor in being the oldest of six kids. Growing up, my life was always surrounded by so much love and I knew I wanted to pass this love on to my family. Regardless of the reasons though, I knew I was meant to be a mother. ALWAYS. No doubt. There are people I know who are moms that I aspire to be like, who couldn’t even picture themselves as mothers before pregnancy. It just wasn’t something they thought of until the time came. Not me. I thought about it all the time. Though I wasn’t in a hurry and was happy to wait for the “one,” I knew it was in my future and I was excited for the day when I would become a mom. I met Michael on a cold February night in Philadelphia (another topic for another day). It didn’t take us long to “know” and we were wed just a little over a year later. We immediately started trying to start our family and after what seemed like a very long year of trying, found out we were pregnant during a going away party for us less than twenty-four hours before Michael’s departure to our new home in Rome. Just one week before our first anniversary. Wow, what luck! Moving to Rome and starting our family. How exciting could life get? It sounded perfect to me. I was ready. No strange new land, language barrier, crazy Italian pregnancy rules could scare me. I wasn’t worried about becoming a mom, or about how my life would change. I was thrilled. I couldn’t wait to get that baby in my arms and start doing the thing I knew best, that thing that’s been deep inside me since I can remember…MOM. My confidence, I am sure, is something a lot of pregnant women experience. But I know a lot of pregnant women who are scared to death throughout their pregnancies. Normal. Not me, I was ready. This job was meant for me. It’s crazy though how God knows just what he’s doing. I had known all along I was meant to be a mother. I just hadn’t factored in the “to whom?” part, the tiny person for whom I would be chosen to be responsible. Annie was chosen for Mike and me, and us for her. It took me a while to realize this. In the beginning I was devastated. I’m not going to get into how I felt because most of you have read about my initial reactions to Annie’s diagnosis in my previous posts. In short, I was really sad and really worried for what this all meant for my precious baby girl and for my family and for my dreams of becoming a mom. All of my family and all of my friends were constantly searching for the right words to bring me out of my slump, my devastation. The words I heard most were “God picked Mike and you to be her parents” and “I couldn’t think of a better family for a her to be born into”. But in those first few weeks no words could undo my hurt or lessen my fear. This wasn’t the job I had been prepared for. For the first time in my life, as I held my hour old baby in my arms on my hospital bed in a country so far from home, I was terrified of being a mother. I didn’t understand what was happening. This wasn’t what I imagined. But then again, how often is life what we imagine? 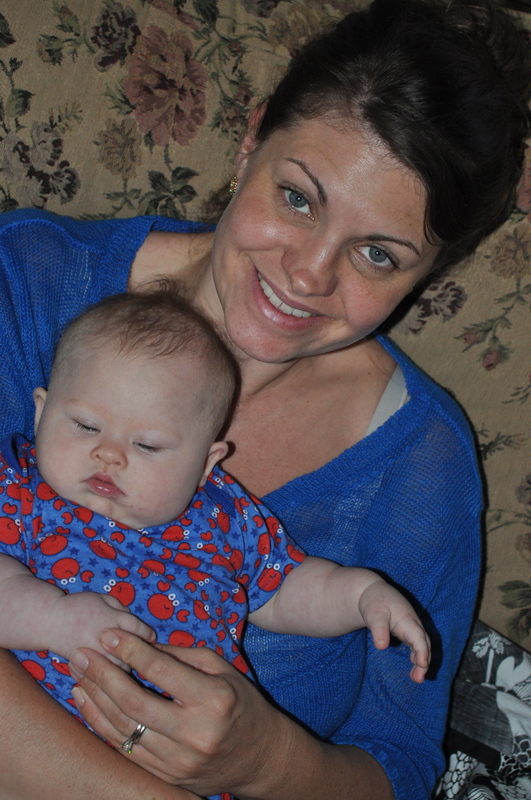 In those first days of so many tests, watching my baby being poked and prodded, and given endless possibilities of health issues Annie “could” have, I became so overwhelmed. I couldn’t see a bright future for my baby or my family. And then I got home and started researching like crazy. This, of course, only made it worse. “Your child will need XYZ therapies, will have more difficulty communicating, potty-training, eating, etc. etc. etc……” I cried myself to sleep almost every night for the first four or five weeks. I was devastated because of all the overwhelming challenges Annie and I would have to face together. And then one night around 3:30 a.m., in the midst of one of my crying fits, it came to me. Colleen, all you have to do is love her, and you’ve already got that down. For as any parent knows, there is no greater love than the love we feel for our children. Isn’t that what our jobs as parents are really all about? Love. So what if she might not walk for the first years? Love her. So what if she takes longer to get out of diapers? Love her. So what if she never talks perfectly? Love her. Annie is easy to love. Her happiness, warmth, and love shines through her at all times and is completely contagious. I have the best and most rewarding job in the world. Loving my daughter. Now I look back and am ashamed that I was ever even remotely devastated by the challenges Annie and I will face. Now I see facing these challenges as our journey together. Raising any child will have it’s challenges. That’s our job as parents. To accept the inevitable challenges, to help our children overcome the obstacles they face, to provide them with the best opportunities for growth, to instill in them good and true values, and to love them unconditionally. I get, no, have been blessed with, the gift of a baby that needs a little more than the typical child. And realize each day I spend with her that God really does know what He’s doing. My dream of becoming a mother has come true and it’s better than I ever imagined.